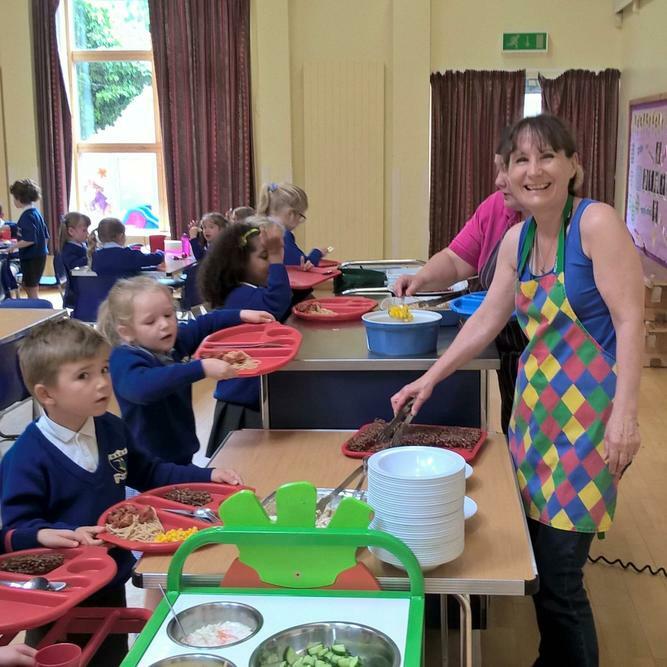 We were delighted to be included in Reverend Johnston’s (Sue) ‘Week of Challenge’ which began at Moor End Stables and finished at the Red Lion! During the week Reverend Johnston undertook a series of work related challenges to help raise money for much needed repair work on the Chapel. 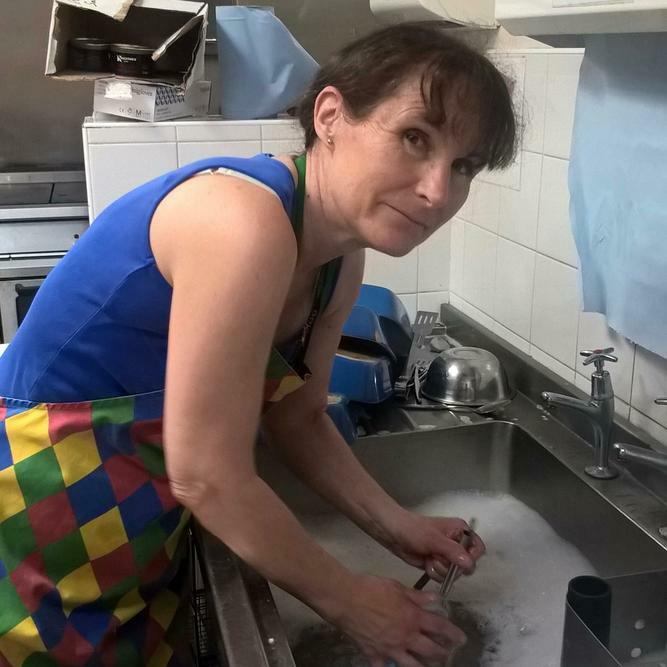 As part of this she came into school and helped Teresa (our school cook) prepare, serve and clean up 80 school dinners. I have to confess that Sue rose to the challenge admirably and was more than happy to roll her sleeves up and muck in. After a week of very varied labours she managed to raise over £3475 which is fantastic news.